DUNCAN MORLEY @ RICK ROSS HOME STUDIO IN ATLANTA...BEHIND THE SCENES! THE SONG IS SET FOR RELEASE MID JUNE SUMMER 2017! 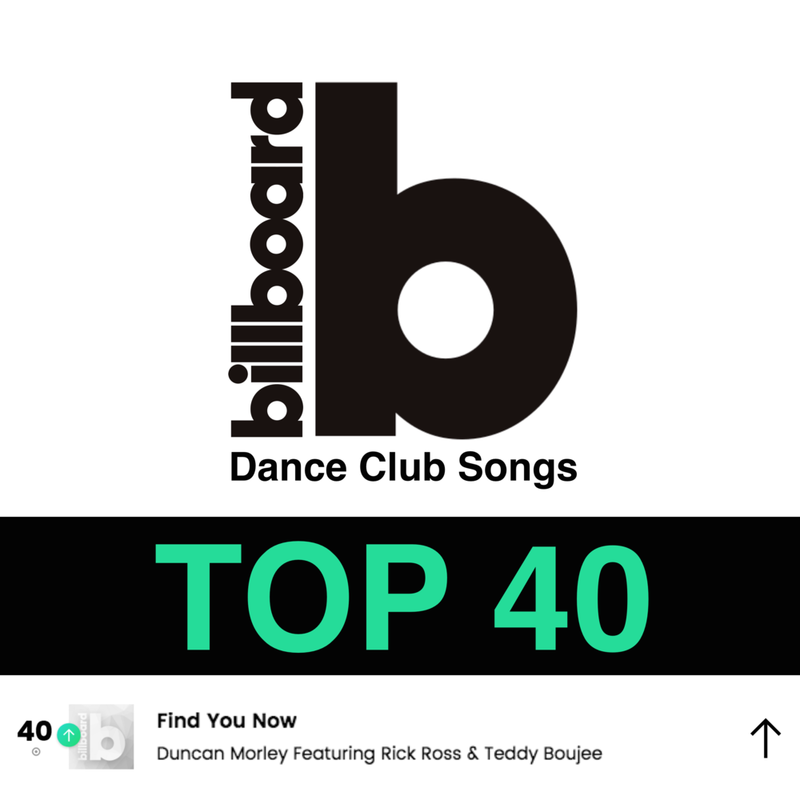 DUNCAN MORLEY'S SINGLE "IF TIME RUNS OUT" DEBUTED ON THE BILLBOARD HOT DANCE/CLUB CHARTS AS THE HOT SHOT DEBUT "MOST ADDED IN THE COUNTRY" @ #42. SOON AFTER THE SINGLE CLIMBED INTO THE top 25 just behind avicci's hit single "wake me up". "IF TIME RUNS OUT" gained major recognition when world renowned dj paul oakenfold remixed the record and placed it on his latest album. "IF TIME RUNS OUT" WENT ON TO REACH #3 ON THE DJ TIMES NATIONAL DANCE CHARTS courtEsy OF OAKENFOLD'S REMIX. DUNCAN MORLEY REACHED top 5 ON MUSIC WEEK's UK Commercial pop charts AND Top UK UPFRONT CLUB CHARTS. IF TIME RUNS OUT RADIO KILLER! MORLEY'S SINGLE HAS RECEIVED THOUSANDS OF SPINS ON RADIO STATIONS ACROSS THE COUNTRY, FROM STATIONS IN NEW YORK, BOSTON AND CHICAGO TO MAJOR STATIONS LIKE iHEART RADIO, MUSIC CHOICE AND SiriuS XM. Duncan morley jumps on the billboard charts for a second time with his ELECTRO/POP single "YOU GAVE ME LOVE"
"YOU GAVE ME LOVE" MOVES INTO THE TOP 10 ON THE DJ TIMES NATIONAL DANCE CHARTS @ #7.